The British Dyslexia Association (BDA) is a registered charity. 'The BDA is the voice of dyslexic people'. British Dyslexia Assoc. Website Homepage. BDA on Facebook - sharing news and updates. Twitter feed (Pls note: not monitored 24/7). 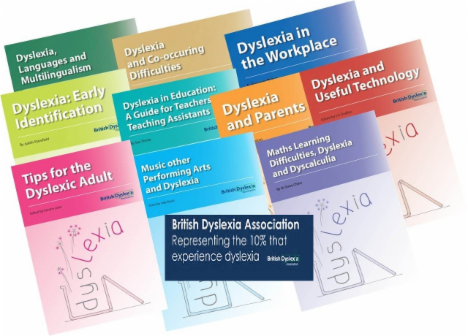 The British Dyslexia Association provides accredited training, diagnostic assessments, dyslexia & SpLD training for teachers, awareness training for employers, workplace needs assessments, supplying speakers for events, dyslexia-related consultancy for workplaces and education. Raising awareness of dyslexia & SpLDs with a view to helping people achieve to their full potential whether in education or the workplace. Right Resources...for a thriving & productive neurodiverse workforce.